But the more important takeaway for them was advice they received from guest Shark Nick Woodman, the CEO of GoPro. Woodman told them to change the name of their company so people wouldn’t associate it strictly with kitchen-related items. In 2014, entrepreneurs David Krippendorf and Ryan Tseng scored a $US100,000 deal on an episode of “Shark Tank” after delivering one of the most enthusiastic pitches in show history. They had successfully sold two investors on their product Kitchen Safe, a plastic storage container with a time-lock lid that prevents users from accessing junk food or anything else they want to cut back on. But a $US100,000 deal wasn’t the only thing they walked away with. A piece of advice one of the Sharks gave them ultimately led the pair to change the name of their product, a risky move they say has brought them even more success. The Shark was Nick Woodman, the CEO of GoPro and a guest investor on the show that episode. During the pitch, Woodman suggested that Kitchen Safe was the wrong name for a product that could be used to store not just snacks, but other items people might want to cut back from using, like alcohol, cigarettes, credit cards, or their phone. “Kitchen Safe is maybe a little bit limited as a company name, because you’re going to want to grow into new products, and perhaps new verticals where this is not even in the kitchen,” Woodman told the entrepreneurs. Despite his reservations on the product’s name, Woodman offered the pair $US100,000 for 20% of the company in a joint deal with Lori Greiner, which Krippendorf and Tseng accepted. Sure enough, a few weeks after the show aired, the pair took Woodman’s advice to heart and rebranded Kitchen Safe as kSafe, the name it goes by today. “When I invented this, I was thinking about food. That was my use,” Krippendorf told Business Insider. But the change to kSafe has had a big impact on the way customers perceive the product. Cementing the pivot to a more general container, the company introduced a miniature version of its product to be used for phones and other devices that is now their most popular seller, Krippendorf said. In all, half of kSafe customers use the container for something other than food, he said. 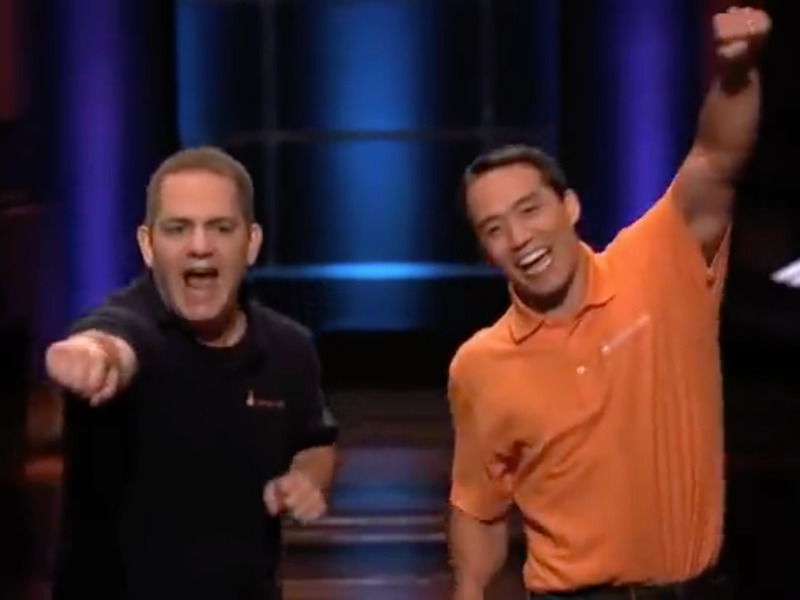 Four years after their appearance on “Shark Tank,” Krippendorf said the company has sold $US2 million in kSafes and continues to grow – something that may never have been possible had it kept its original name.